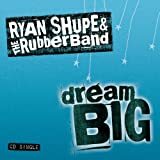 If you’ve ever been frustrated, in pain, or just plain having a bad day… the song Dream Big performed by Ryan Shupe & The Rubber Band is for you. It’s also being featured in promotions for NBC ‘Three Wishes’show hosted by Amy Grant. Plus it’s a reminder to never settle for less than you deserve. Why bother dreaming small when you just might make that big dream happen?! 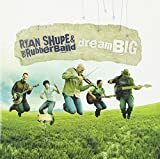 This entry was posted in Inspirational Quotes and tagged Dream Big Ryan Shupe. Bookmark the permalink.